Instem's market leading preclinical software suite for organizations engaged in non-clinical evaluation studies. Provantis® is a modern, fully integrated Windows-based system for organizations and universities engaged in non-clinical evaluation studies. From single-user Pathologists to full-function global Toxicology/Pathology laboratories, Provantis streamlines processes and workflows with straightforward, intuitive functionality for simple and complex studies within a GLP or non-GLP environment. Instem's customer base consists of the leading pharmaceutical, chemical and contract research organizations, including government and privately funded programs across sites worldwide. The integrated Provantis modules operate in the Microsoft Windows environment, either as traditional desktop-client programs (server-based applications) or through our hosted online offering, allowing customers the ultimate freedom to choose the most appropriate platform for their users. Anywhere, Anytime at a Pace that Suits You! Provantis users can benefit from the Provantis Academy, an intuitive, easy to use, web-based learning solution that is available on-demand whenever a client needs it. Part of the Instem University eLearning platform, the Provantis Academy curriculum provides users with a personalized approach to learning, giving them access to the training they need anywhere, any time. Meeting the needs of all users, from super users to staff who only use Provantis infrequently, the Provantis Academy facilitates increased efficiency and effectiveness and fosters a culture of continuous learning. Provantis Academy users also have direct, live access to Instem’s team of educational industry experts. All Provantis clients benefit from unlimited access to live global support to ensure operational effectiveness and success. Additionally, Provantis clients can take advantage of our comprehensive Customer Involvement Program (CIP). The CIP offers customers numerous opportunities to engage with Instem staff and fellow users through a variety of forums including our secure, client-only Customer Center website, Value Visits, client webcasts, online & in-person User Group Meetings and Special Interest Group meetings and more. The Provantis® General Toxicology product is a modern, flexible solution that supports the toxicologist in the management, performance, analysis and reporting of all study types. It fulfils the needs of product safety studies in pharmaceuticals, agro-chemicals and contract research and satisfies all protocols approved by regulatory authorities worldwide. This module also handles the in-life phases of a reproductive study. The protocol module allows the study director to define the protocol to Provantis , which then manages the duties of the technicians on a day-to-day basis to ensure protocol adherence. The system handles studies on any species and strain, placing no limit on the number and order of parameters measured, or the study design. One of the most sophisticated aspects of Provantis is the link between the protocol and data collection modules, which provides the automated scheduling of all animal room activities. Label creation is quick, simple and completely user-definable allowing you to use over 350 standard label formats (including Avery) or customize your own size and layout. You may select fields directly from the Provantis database and incorporate objects such as graphics, text, or fields that prompt users for input prior to printing. This may include bar-coded information (25 formats) and the definition can be saved for use by others. By using Labeling you can create any label required for the life cycle of your study such as rooms, cages, food bins, dose pots and ECG traces. Provantis is unique in terms of integration. On any given study, all data collection modules share a single protocol and common glossary management and security structures. Provantis Pathology is a comprehensive, intuitive and flexible software solution that supports the pathologist in the collection, processing and reporting of data for gross and histopathology, including mass tracking and organ weights. The Provantis Pathology solution provides a consistent, familiar look and feel, seamless access to your favorite Microsoft applications and powerful, flexible reporting. Provantis Pathology is used by organizations across the globe, from single user remote Pathologists to multi-site laboratories. Data collection is fast, accurate and flexible. As well as offering a choice of keyboard entry, using user defined codes, or mouse entry picking from lists, there are a wide variety of user preferences to allow you to work in the way you choose – one animal at a time – by tissue - in a matrix of animals and tissues – the choice is yours. Sophisticated completion checking prevents errors and ensures protocol adherence. Numerous shortcuts are available to the experienced user and keyboard/mouse activity has been ergonomically reduced to a minimum. The pathology module is fully integrated with the rest of Provantis, so it shares a common protocol and makes all the other data such as In-life data, necropsy, organ weights and clinical pathology data available to the pathologist. An example of the flexibility can be seen in the intergroup comparison reports, where there is an option to show male/female-only data or combined. One of the reporting format options is to show animals by removal reason and group. Other options include animals with findings only and/or observations split by severity. For histo, the user is able to request neo and non-neoplastic observations separately or combined. Incidences can be shown as percentages or absolute. Syndromes and Merging and Include/Exclude facilities allow manipulation of the presentation of findings. A number of animal history reports (including mass tracking from in-life, through gross to histo), raw data and glossary reports are also available. 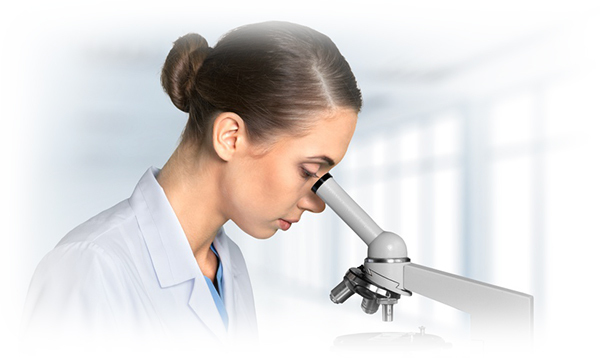 Instem's Clinical Pathology solution is based on the Provantis® Clinical Pathology product. This product provides bench-level functionality for the collection and processing of Clinical Pathology data, as well as further ‘Supervisor’ review, amend and release options to ensure quality results are released back to the study. Quality Control material can be defined, maintained and used throughout the system to check instrument performance prior to and / or during animal data collection. The system is driven by the protocol entered in the General Toxicology product, directing sample collection in the animal room and subsequent analysis within the Clinical Pathology laboratory. This level of product integration ensures there is no need to re-enter protocol details. Ad-hoc study samples may also be run as required. The reproductive toxicology module is fully protocol driven. The protocol recognizes the complex, phased nature of many reproductive studies and allows activities to be scheduled relative to study, pairing, mating and littering days, generational phases and observed events or measurements. This allows technicians to easily see what activities are due on which animals. The data entry programs prompt them in accordance with this schedule. In addition the entire general toxicology data collection functions are provided for parental animals, litters and unidentified and identified pups. The Tables and Statistics product generates tables and, if required, performs statistical analysis on data collected by most other products in the Provantis® family. At any point during a study you can produce tables with a variety of content and formatting options. Tables and Statistics with its ease of use, flexibility and coverage of most of standard statistical processing, and its integration with the Protocol & Report Assembly product, can play an important role in meeting the ever increasing demand to produce faster, higher quality, secure reports. Provantis 8 introduces the new Open Architecture concepts to the Tables and Statistics product. The Open Architecture frees the user from the complexities of the Oracle database, presenting the data in a simple, industry standard, XML file and formatting the data onto the report page using the BusinessObjects Crystal Reports XI reporting tool. Tables and Statistics is fully integrated with the rest of the Provantis family of products, as well as other commonly used tools such as SAS, Microsoft Office, BusinesssObjects, Crystal Reports XI and Adobe. You can create outputs as XML files for use by other applications, or so that you can apply your own SAS procedures. Integration with the Provantis Protocol and Report Assembly product allows you to combine tables with other contributions, for example text, graphics and spreadsheets, into a secure final report. DISPENSE is a comprehensive computer based system for test item control. The DISPENSE system maintains a full record of test item usage right from the initial receipt through formulation/dispensing activities to disposal. DISPENSE makes extensive use of bar code identification and on-line electronic data capture from balances to ensure the highest level of data integrity. On receipt, the test item is logged into the DISPENSE system by completing a series of on-screen forms. Some information is mandatory such as name, batch number and expiry date. When all the details have been registered, each container is then assigned a unique barcode by Dispense and labels produced. Formulation instructions are entered into DISPENSE on a per study or project basis and each test substance batch is linked to a study or project. The formulation specification includes details of the test substance to be used, concentration, vehicle and formulated volume (or weight). Following completion of a formulation specification, bar coded labels are printed for all formulation containers. DISPENSE uses a formulation matrix which covers the requirement for multiple test substances and/or multiple vehicles for some projects. Formulation activities are controlled by DISPENSE. The bar coded labels on all formulation containers and vehicles are used to verify each step in the formulation process. The information on each formulation container label includes the project number and the dose group. After entering a study or project number, you are prompted throughout the preparation process to carry out weighing procedures according to the project formulation details. Balance readings are recorded on-line. Only balances that have previously been identified to the system may be used. Identifying the balance includes specifying the balance serial number, a description of the balance, and the number and values of the check weights to be used before any weighing may be carried out on the balance. DISPENSE requires the formulator to weigh the bulk test substance container before use on each formulation occasion (Start of Day Accountability). The bulk test substance container is then weighed following completion of formulation work (End of Day Accountability). DISPENSE calculates the theoretical usage of test material and compares this to the actual usage to produce an Accountability Report. Any discrepancy has to be accounted for by the formulator entering an appropriate reason into DISPENSE. A variety of reports on test substances and projects may be generated. These include Test Substance Receipt, Formulation Specification and Accountability reports. Both standard and custom reports can be produced. Access to all areas of DISPENSE is controlled by a user ID password. Each user is assigned an ID and set of access privileges to the application. This means, for example, access to enter formulation specification details can be assigned to some users and not others. Instem provides a range of reporting products and services to enable our customers to derive the maximum value from their preclinical data. The Provantis® family of products provides a comprehensive set of standard tables for raw, individual animal and summary data, for numeric and observational data, and for in-life, clinical pathology, necropsy and pathology data. Provantis is integrated with the industry standard SAS statistical analysis tool. Predefined analyses, including a complex decision tree, can be used and summary tables annotated with the results of the analysis. Customers can also use the full power of SAS to define their own analyses. Instem also provides a Business Objects Universe that provides simple access to the complex Provantis data structures. The powerful and easy to use Business Objects tools can be used by end users to create their own ad hoc queries or unusual table designs. Instem also provides services to users who wish to create more complex tables. The final product of preclinical study is the study report. This draws together a description of the study conduct, summary and individual data tables, statistical, and possibly graphical, analyses, and scientific conclusions. The Provantis Protocol and Report Assembly module allows customers to create study reports as Microsoft Word documents in a secure environment by combining tables and analyses produced by other Provantis modules, and outputs from non-Provantis systems (eg Microsoft Excel). All contributions to a report can be automatically reformatted as required, whilst at the same time protecting the integrity of the data. Users can develop their own formatting macros or use Instem services if they prefer. Finally Instem has used its extensive knowledge of preclinical data and data collection systems to help customers create Data Marts for specific purposes such as historical data, and Data Warehouses as more general repositories of preclinical data. Today’s research laboratories continue to look for ways to streamline their processes while increasing the quality of their study data. Ensuring seamless coordination between study partners and sponsors is also critical to a program’s success. To increase the value of collaborative development relationships, key information needs to be timely, accurate and available on-demand. 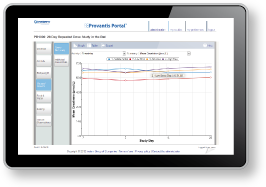 The Provantis Portal enables CRO’s, their sponsors and study partners to browse and download Provantis® nonclinical study data in near real-time from any standard Web browser such as Explorer, Firefox and Safari. Using the portal, Study Data from Provantis is available to be viewed and downloaded on-demand. The result data available is current and ‘live’ data, not audit or archive and, the time between a result being collected and published out on the Provantis Portal is 100% controlled by the client. If desired, clients can also limit the data collection activities available on a study-by-study basis. Using the Provantis Portal, users can also exchange and access study-related documents and files. The Provantis Portal can be accessed within a client’s environment or using Instem’s SaaS model of delivery. Since 2005, Instem has utilized state-of-the-art data centers, which are being used by commercial, academic and government clients around the world for GLP and non-GLP studies. Both MAC & PC compatible, the Provantis Portal can be accessed using a variety of modern browsers including Safari, Firefox and Explorer. For additional flexibility, the Provantis Portal can be accessed using handheld devices. Adobe Flash is not used within the Web Application allowing for use on a wide range of devices such as smart phones and tablets. Our commitment to data and system security remains a cornerstone of our technology offerings. Whether using an on-site or on-line solution, Instem delivers complete confidence to organizations of all sizes. The Provantis Portal has its own security model independent of the Provantis suite. This extra step of security allows new external users to be added without gaining access to the rest of Provantis. Provantis® Protocol and Report Assembly (P & RA) is a document preparation and management system that provides a departmental solution designed specifically for creating study protocols and final reports. Documents are created by combining user-defined document templates, user text, data directly extracted from the Provantis database, tables generated by Provantis and other contributing documents generated elsewhere. Based on Microsoft Word, high quality documents, conforming to corporate presentation standards can easily be produced. Integration with the rest of the Provantis system achieves both consistency and faster production of documents. Significant savings in QA review time are achieved by securely managing tables, graphs and other contributions. Documents are based on user-defined templates that can be used to implement corporate documentation standards. The full capabilities of Word are available. Different templates can be created for each study type performed by a laboratory, or for each client for CROs. Templates can also contain data fields. These are markers in the template that will be replaced by study specific text when a study document is created. Data fields can either be: user entered text; picked from a pre-defined list; any item of data in the Provantis database; or, a reference to a protected or unprotected contribution, which can be a table generated by Provantis. P & RA manages tables generated by Provantis and other applications as contributions to the final report. If a contribution is "protected" it has come directly from a generating application and cannot be modified. This eliminates the need to perform QA on the tables in the final document. Contributions can be re-formatted using the full capabilities of Word whilst protecting the integrity of the original data. P & RA manages the process of creating multiple versions of a document. The system can automatically show all the changes between versions, including changes in embedded contributions. Contributions are kept in separate documents until a document is printed or issued. This means that when editing a document you are not dealing with hundreds of pages. For protocol documents P & RA manages the process of protocol approval. P & RA handles multiple signatories, fully Part 11 compliant electronic signatures, and automatically created amendments and deviations after approval.